Welcome. I am so happy that you stopped by. My garden gate is always open for you to come in and sit and relax with a cup of tea while I share with you the inspirations for my art. Last year I read an article in Somerset Workshop magazine about a wonderful artist, Junelle Jacobsen's charming and whimsical mixings of all mediums in her art. She embraces the beauty of the world around her and paints on canvas, blocks of wood and all sorts of things using acrylics, watercolors, pens, bits of paper, etc. in her mixed media art. Needless to say, I fell in love with her art and signed up for her "Saturday" on line class to learn how to paint on wood blocks and canvas using mixed media. 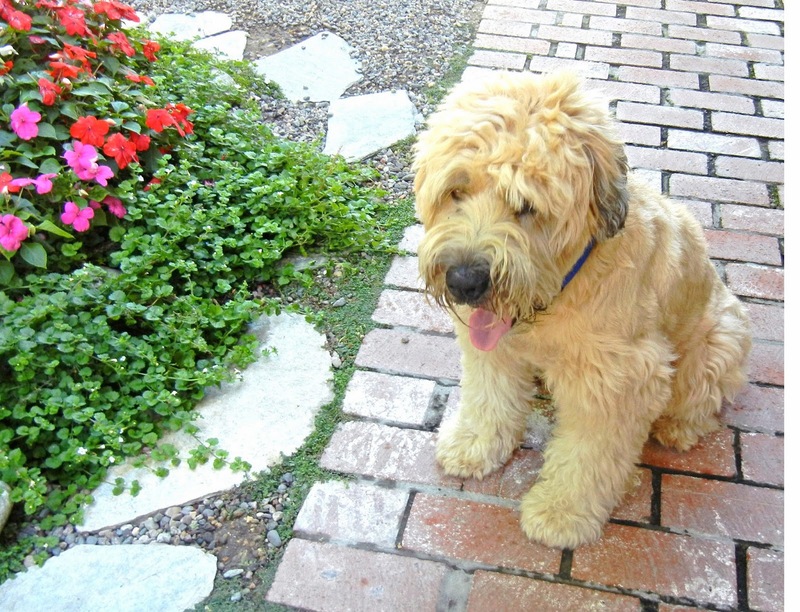 Let's join Bentley, my Studio Assistant, in the garden and I will share with you some of the art I created this past week using methods I learned from Junelle. 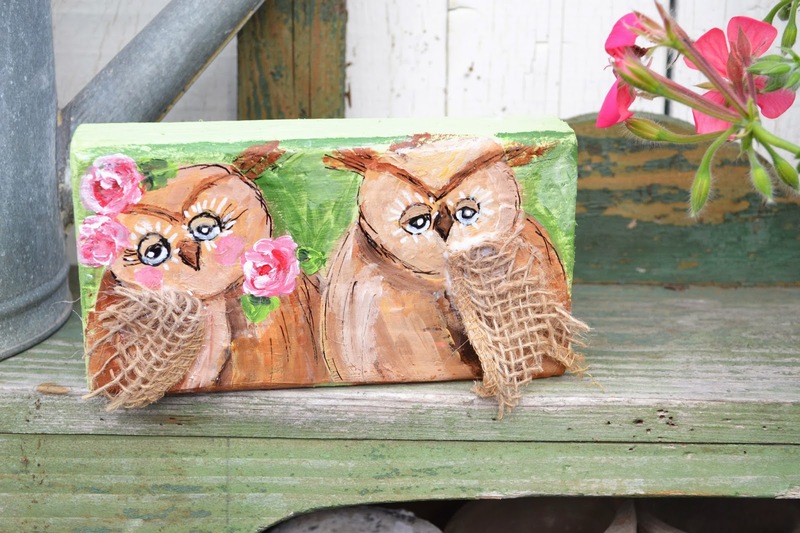 Junelle teaches and encourages her students how to create loose and whimsical sketches and then transfer them onto blocks of wood, paper, canvas, etc. 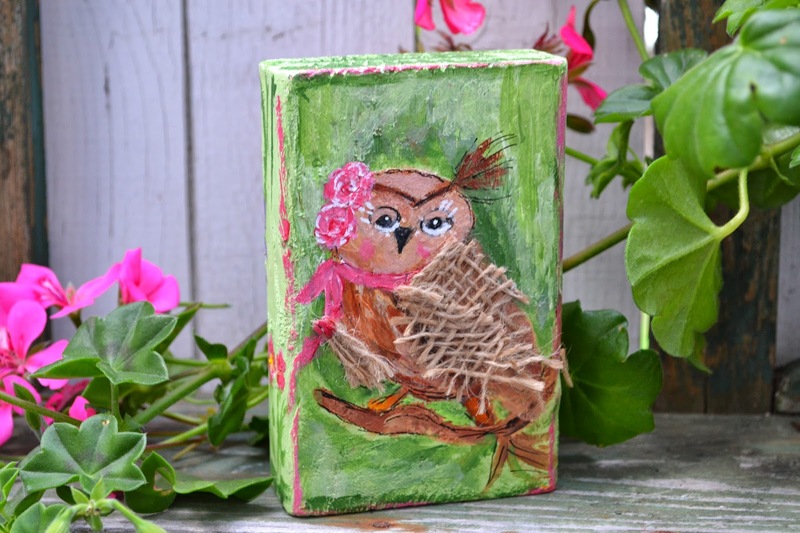 Our first lesson was to practice sketching owls and then paint and use various mixed media methods on wood blocks. 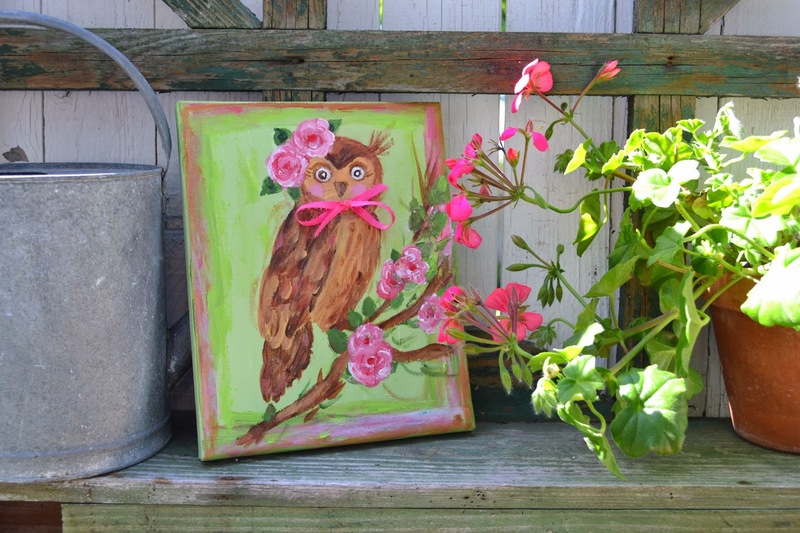 I sketched an owl and then transferred the sketch to canvas and used bits of paper to create the feathers and then painted my owl. After I learned to use a white paint pen - I went back and painted more white highlights to add more whimsy and fun to my owl. Next I sketched two owls using Junelle's example that she taught us in her class. 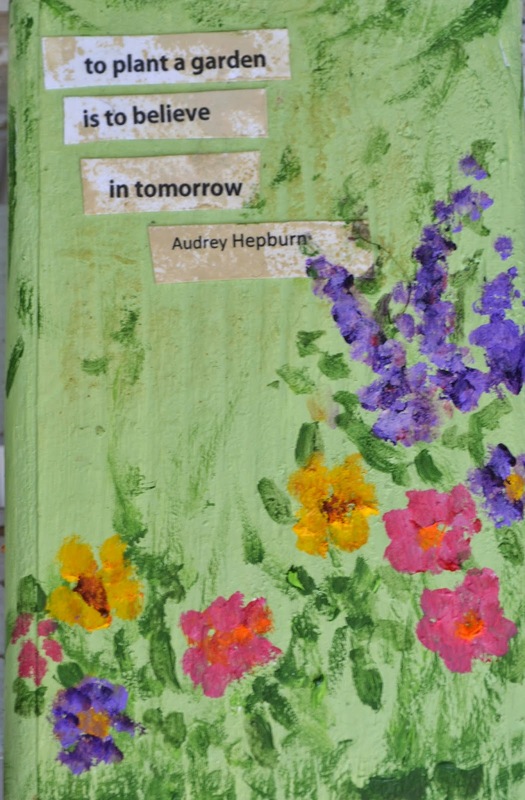 Then I cut out my paper sketch and glued it to a wooden block that I painted in a spring green using inspirational colors from flowers blooming in my garden. Next I painted over my sketch and created a painting and painted the sides and back. Junelle taught us how to add scraps of fabric to add texture to our owls - I used a scrap of burlap for the wings and loved the way it turned out. We also learned to attach a message on the wooden blocks - below is the message on back of my " two "friends" owls. 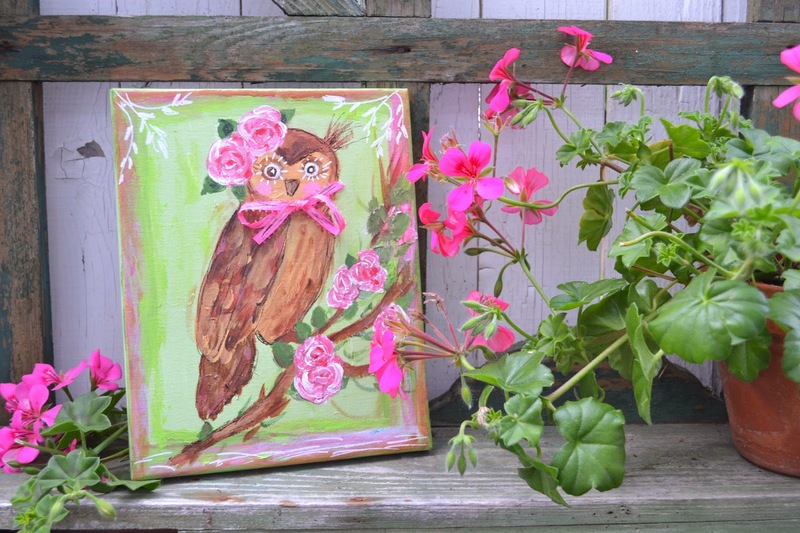 I wanted to create an owl family to put in my garden and painted another owl using the same methods. 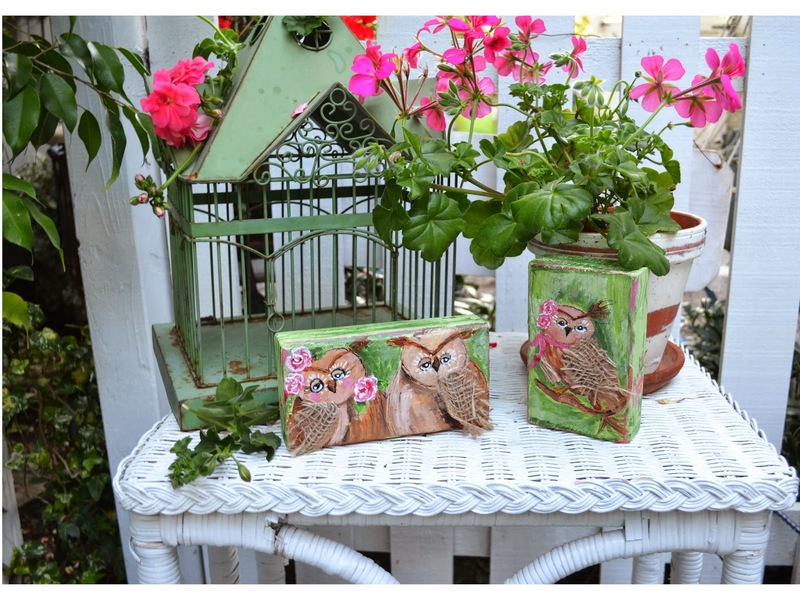 My whimsical owl family all settled in as "art in the garden". Thank you for stopping by. I sincerely appreciate you visits, comments, e-mails, and those who follow my blog. 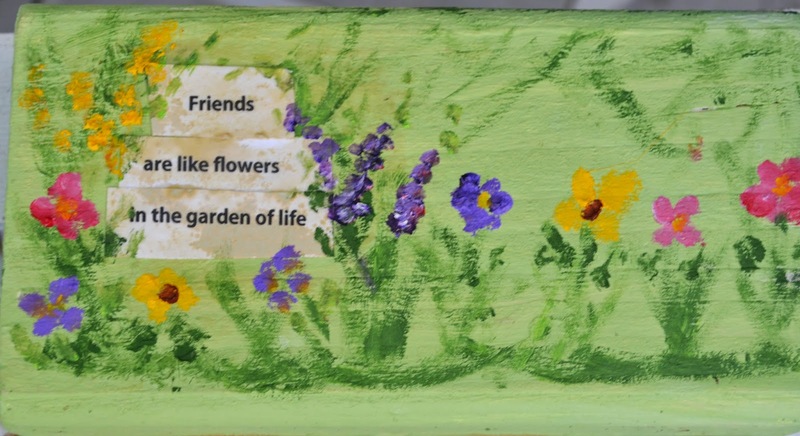 Stay tuned and next week I will share more of the whimsical "blooms" art on wood blocks we will be painting with Junelle this Saturday. You garden is looking spectacular. Until Lulu stops digging in the garden, my only color is in the containers I have placed all around the garden holding flowers. I love your owls and the technique of adding writing. Oh Erin, how lovely your owls are. They look so good in your garden. Great job of painting them and adding the different materials. Your garden looks wonderful - mine is really going to town with the Spring flowers. 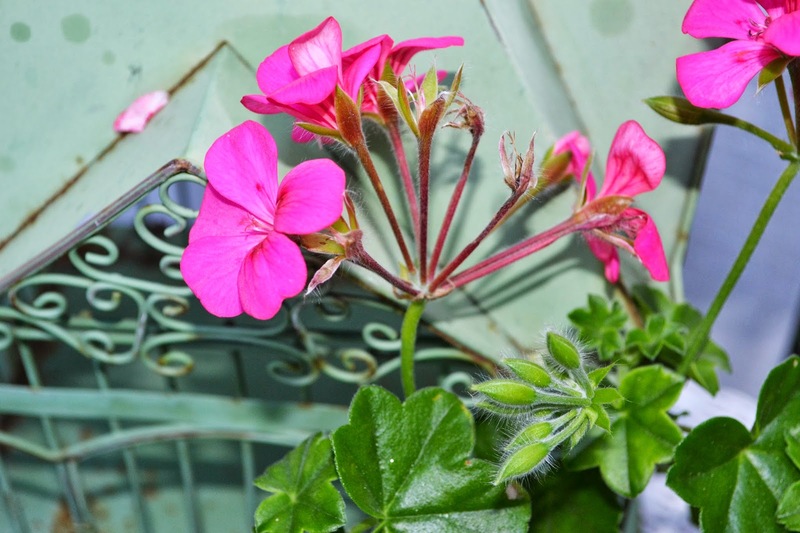 They are lovely and fit in with your garden. 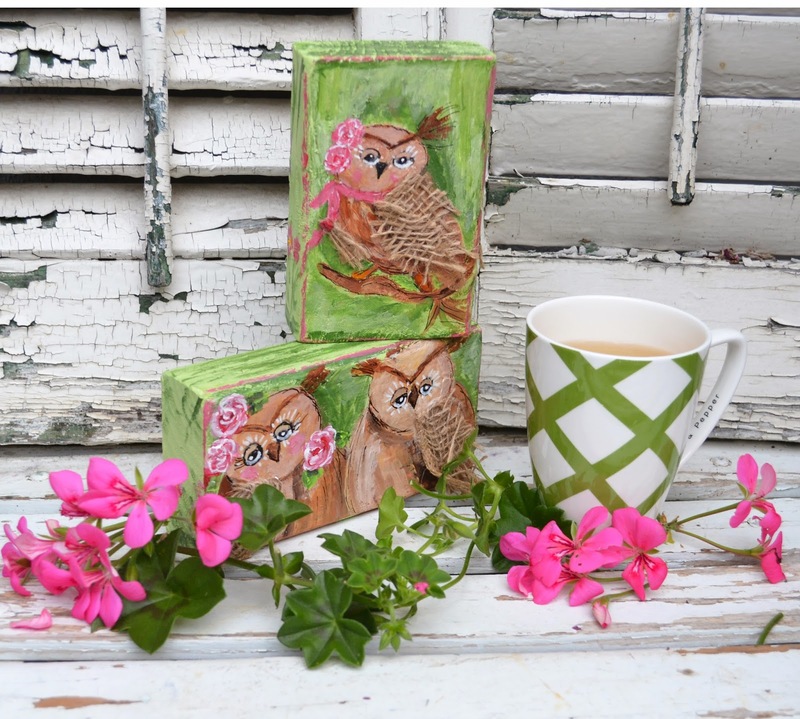 The owls are so cute and your garden is so lovely. You do have a green thumb in the garden. I always love spending time with you and Bentley. Your owls are sweet. I must try this. 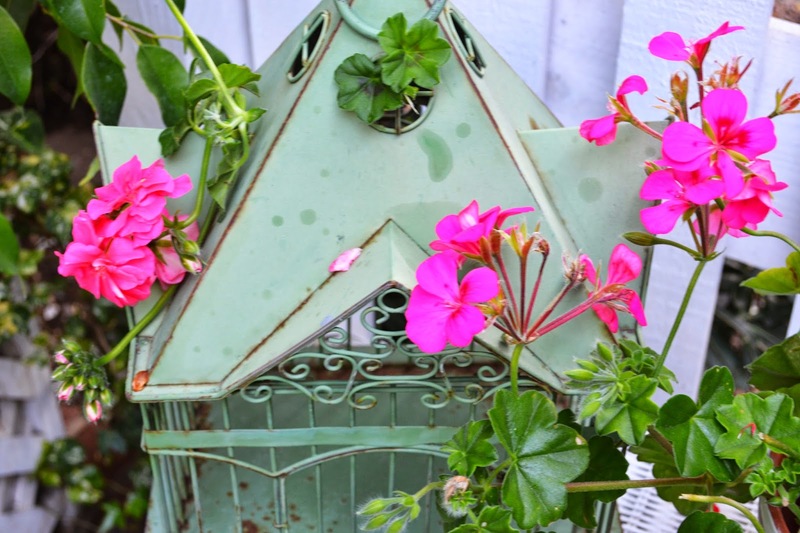 They are just adorable Erin -- and your garden is fabulous!